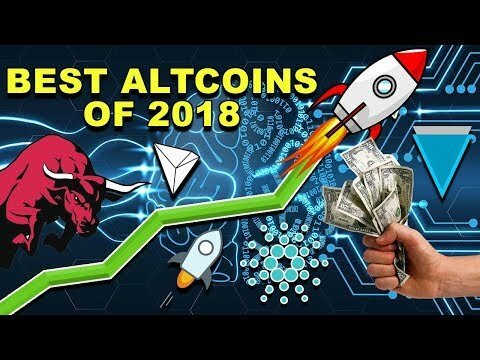 Can Altcoins touch their All Time High in 2018 ? Countdown on R.B.I Decision ! We are back with another another blog about altcoins future in coing months.Many of you were asking about them for long , their future and price prediction etc. Market is not healthy for past few days, bitcoin and other altcoins are in downtrend.But altcoins are the ones which suffered a lot due to this, they are now sitting at their all time low prices.Everyone who has purchased them is asking to sell them now or hold.Others who haven't invested are thinking of investing at this market crash. Now the question in everyone's mind no matter he/she has invested or not is that will rise altcoins rise again.Yes, they will rise eventually in the long term hold.But not everyone coins which have strong concept and team backing them will rise for sure.Don't panic if you are in good projects, sooner or later they all will rise. Also, altcoins are worst performers in this market crash now. They fall 10-20% in every market crash and only few recovers back with bitcoin.Every investor has to identify the good projects and invest accordingly.Many altcoins which are now 80-95 % down of their ATH have strong chances to bounce back rather than to fall more. Many of us choose not so good coins and then feel low in every market crash.The easiest way is to choose coins with great minds in the team and innovative idea and problem solving strength.Top 50 coins in the market are safest to invest everytime but invest in parts in 5-10 projects and hold for long term. Don't panic sell in FUDs and regret later. WHAT WILL HAPPEN ON 11 SEPTEMBER ? Tomorrow, as you all know there is a hearing in Supreme Court on R.B.I ban on banks dealing with crypto exchanges.We all are optimistic for the outcomes but what will happen only time will tell.There are 3 possible outcomes like ban on crypto, lift on ban in India and another hearing. We feel there will be another hearing given for now as experts are still studying the technology.Lets hope for some positive to come out. Blockchain technology is the future and crypto is its practical application.Altcoins are having great concept behind the, be choosy in them and be a patience holder.R.B.I instructions to bank to open business with exchanges can do wonders again.Only time will pay us, have patience. See you all in our next blog soon ! Don't forget to comment down your views and favourite coins below. Today is 11th, let see what happen in court. Hope good decision will come from Indian government. Every coin is getting down, dont get emotional hold your nerves! @moneyguruu I am just holding it and will keep on Holding. Absolutely Sir on my study bull run start mid of October.. Very informative thoughts! @moneyguruu, I'm planning to buy steem power, could you please advice what to do? should I buy or not or where should I invest? I think some governments don't accept it and people don't invest in Bitcoin and Bitcoin goes to down day by day.